How adventurous are you, really? Adventurous enough to come nose to nose with an ultimate apex predator? Here is a countdown of the top five great white shark dives, taking your passion for scuba diving to new depths. Great white sharks are some of the most powerful creatures in the world, and they are certainly not to be taken lightly. Remember, when you dive you are on their turf. That being said, your chance of being attacked by any species of shark is 1 in 3.7 million. You are far more likely to be killed by a cow, a meteorite, or by being struck by lightning. 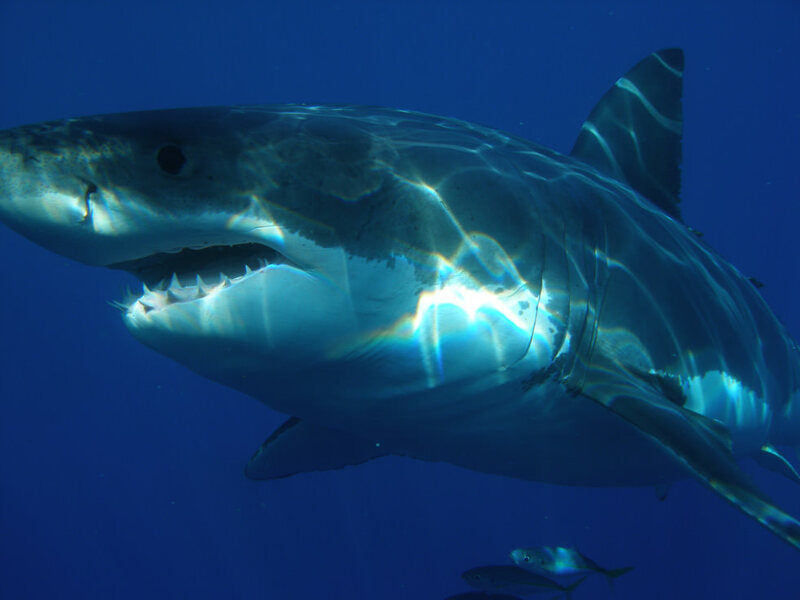 As immense as they are graceful, mature great whites grow up to 6.4 m (21 ft) in length and weigh over 3,000 kg (7,000 lb). These gigantic fish can live over 30 years, and newfound information suggests that their life span may be even longer than 70 years, though these studies are still in development. 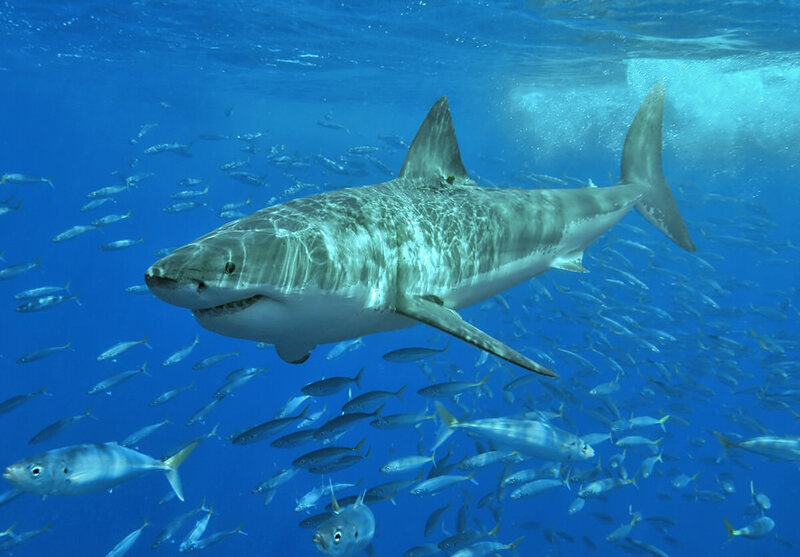 Great white sharks meander globally, and can be found in coastal and offshore waters that range between 12 - 24°C. Greater densities of great whites congregate in fairly specific locations around the world, giving you the best opportunity to scuba dive with these majestic creatures. 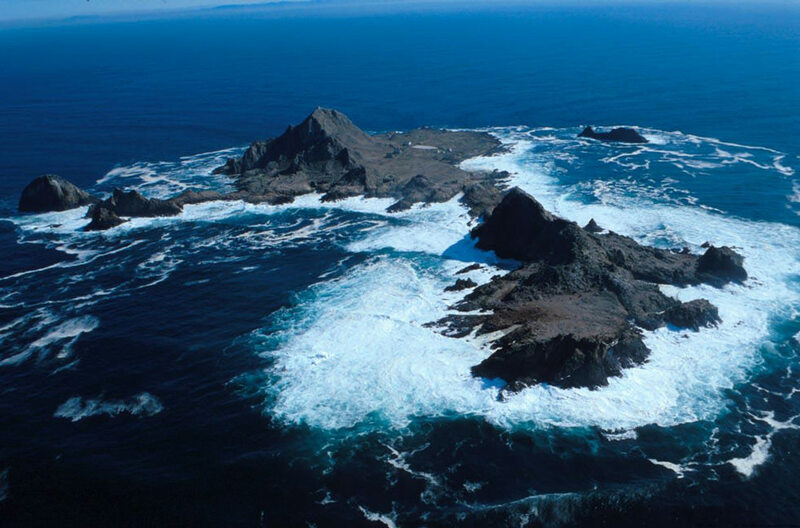 Only a short boat ride away from San Francisco, the Farallon Islands are the only place in the United States that you can consistently find and dive with great whites. The sharks remain here from September through November, but unfortunately the water at this time is cold and murky. A thick wetsuit, gloves, and a hood are recommended. Because chumming isn’t allowed, finding the sharks relies on a good captain as well as a bit of luck. 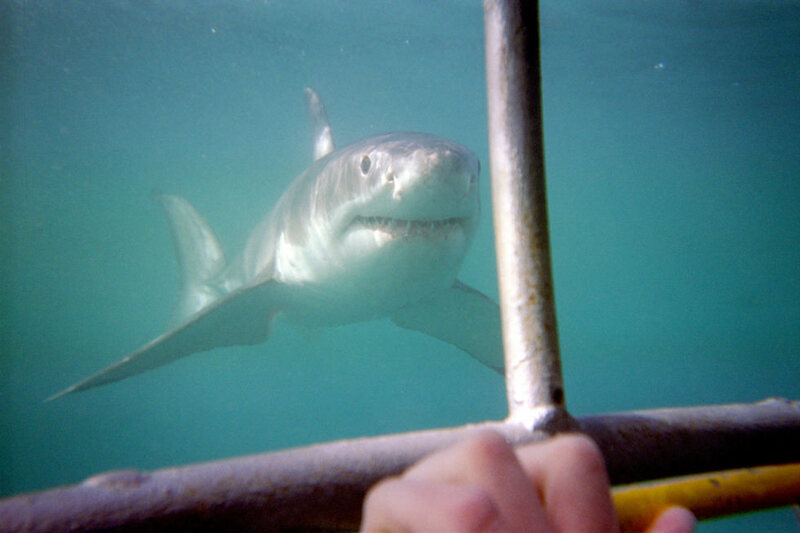 Head to Australia to cage dive with the many great whites that lurk around Neptune Island. Your boat leaves from Port Lincoln, where you take a 3 hour cruise to this remote, seal covered spot. Wherever there is an abundance of seals, you will find an abundance of sharks. Divers can spend plenty of time in the cage, which fits six people comfortably. The water around Neptune is crystal clear, and the sharks are plentiful. Found 241 km off the coast of the Baja peninsula, Guadalupe Island is as beautiful as it is remote. Voyages out to the island usually last around five or six days, and you can expect relaxation and fantastic views on your journey. The water is very comfortable, and the visibility usually exceeds 30 meters. The great whites return to the island in June, but you should visit sometime between July and November for the best shark diving experience. It will come as no surprise that South Africa boasts the top two places to dive with great white sharks. More great whites patrol these waters than anywhere else on the globe. False Bay is just off the coast of Cape Town, making it a convenient and impressive place to go on your shark diving adventure. From this capital city you will head 35 km south to Seal Island. 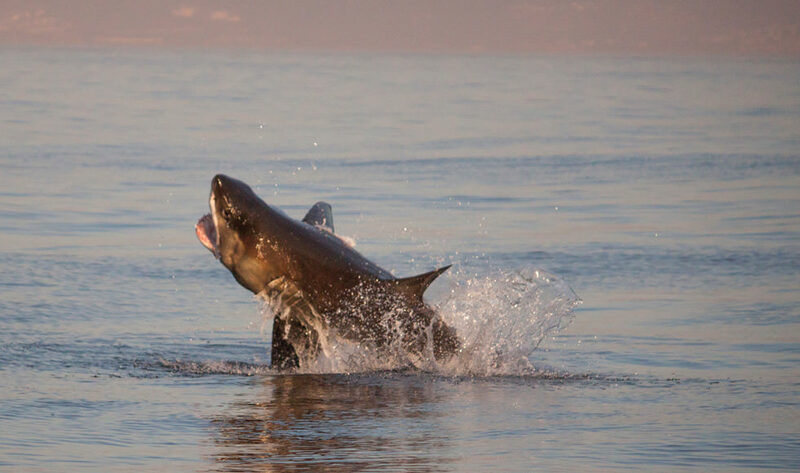 What makes this dive so unique is that you can witness the great whites breach as they jump to catch their prey. You will spend some time beneath the waves with the sharks as they hunt, allowing you to encounter these creatures in their natural environment. The highest concentration of great whites in the world can be found around Dyer Island, only a short ride from Gansbaai. Notorious “Shark Alley” is found between Dyer Island and its neighbor, Geyser Rock. An astounding number of Fur Seals and penguins make this island their home, so you have a great chance of seeing them on your dive, as well. If scuba diving with fantastically large creatures is a bit overwhelming, go on a great white shark watching tour. These tours can be found all over the world. Whether you decide to appreciate these sharks from below or above the water, don’t miss your chance to catch a glimpse of this legendary creature.